← Campus Field Trip Day! Red Ribbons and Parties and Readings galore! Between the daily Red Ribbon Week events and other great things each day on campus, there’s hardly time or space to share it all! In case you didn’t get the memo, it’s party day tomorrow–our first for this school year. Special thanks to our teachers for their patience in the midst of the excitement and to our incredible parents who make it all happen with such grace and style! We look forward to a festive event tomorrow! 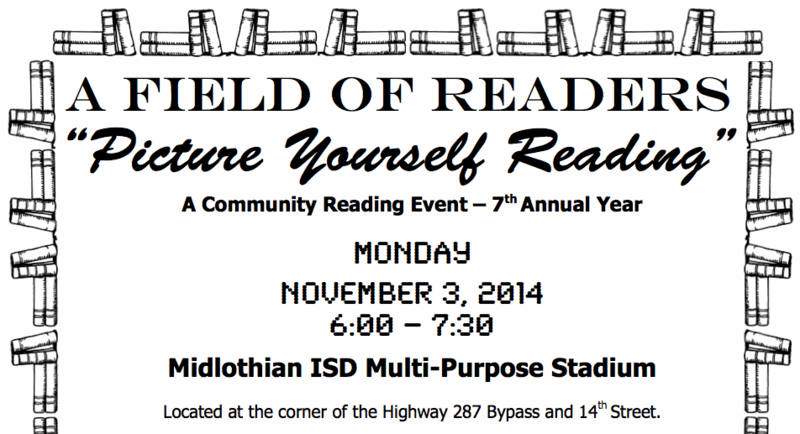 Our annual MISD Field Of Readers takes place on Mon; Nov. 3 from 6:00 – 7:30 p.m. at the Multipurpose Stadium. This year’s theme, “Picture Yourself Reading,” focuses on #MISDshelfie with opportunities to participate in MakerSpace workstations, explore coding, hear great stories on the 50-yard-line, the famous book walk, and much more! Bring your family, friends, books, and blankets for a huge group read. Thanks to our amazing MISD Library Media Specialists for enthusiastically hosting this treasured community event!